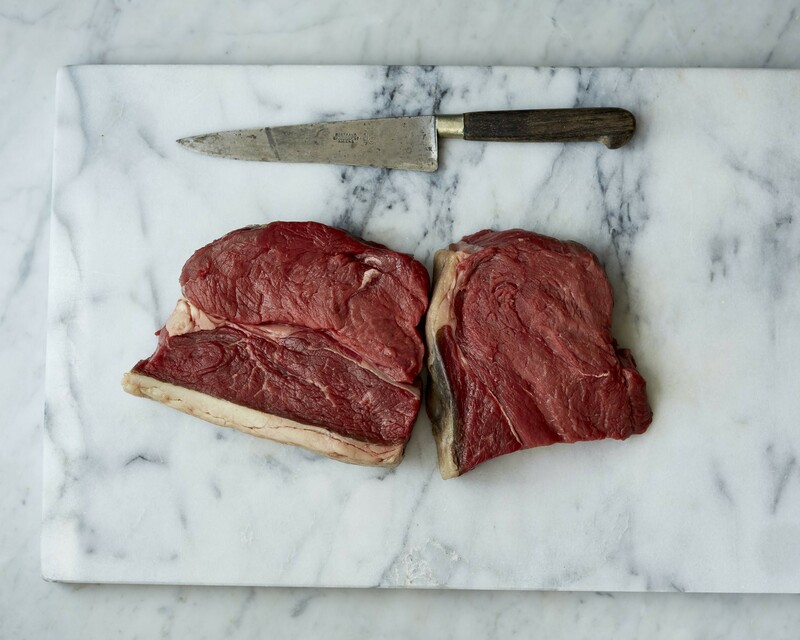 Rump steak is considered to be the most flavoursome cut by some, but it does need a little extra cooking due to its firmer texture. It is often overlooked in place of the more expensive prime cuts but shouldn’t be. Mix together all the chopped and crushed ingredients, then mix in the lemon juice, mustard and pepper. Slowly pour in the olive oil and mix to form an emulsion. You can adjust the amount of oil to your preference to give a thick or thin sauce. Heat a griddle pan over a medium-high heat and lightly brush with oil. Cook the steaks for 3 minutes on each side for rare, 4 for medium and 5-6 minutes for well done. Cover with foil and allow to rest for 4 minutes. Slice and serve with generous spoonfuls of salsa verde.